Today's post - get your workouts done...anywhere, anyway you can! I'm on a rest day which means loads of stretching for my hip (and a busy work day that had me covering many miles in airports and airplanes). 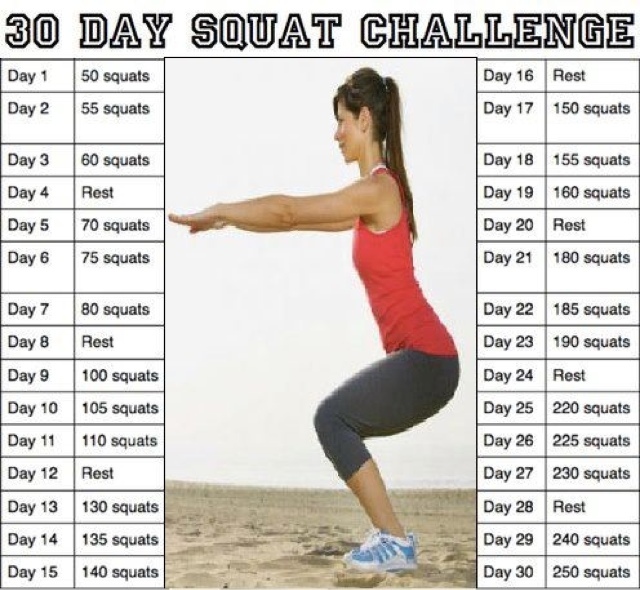 But I am also doing a 30 day squat challenge (The picture of the challenge is posted below - who else is in??) and I wasn't about to miss day 2 of the challenge just because I'm stuck in a plane! So during a quiet moment in flight, while wearing my uniform heels, I banged out 70 squats in the back galley. Ideal? No. Doable? Yes. It's about finding time for your priorities and fitting your fitness into your life. Where does fitness fit into your life? Are you going to join me on this squat challenge? What's the strangest place you've worked out? This 30 day challenge is hard! I though it will be easy but it is not. I am not in muscle pain or something but I am out of breath this is almost a cardio to me :D.
Definitely! Seems so easy at first and by the end, you're doing so many squats! But it feels great to finish it and accomplish that goal!